North American release still to be announced. 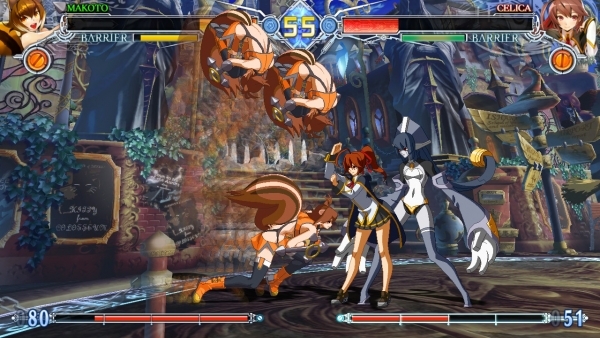 PQube will release BlazBlue: Central Fiction Special Edition for Switch in Europe on February 8, 2019, the publisher announced. In Japan, the game was previously dated for February 7, 2019. A North American release has yet to be announced. Experience the final chapter of the epic BlazBlue saga in 40-plus hours of story mode, featuring over 30 unique characters on more than 60 stages and challenge yourself or your friends in one of the many modes – anywhere you go! Including all downloadable content and updates to date, BlazBlue: Central Fiction Special Edition Special Edition will be the most comprehensive version of the showpiece anime fighting game series from Japan. The Final Chapter – Find out how the massive story around Ragna the Bloodedge concludes or relive the grand finale! Unique Character Designs – Fan favorites returned and new faces joined with Central Fiction—who will be your fighter of choice? Be the Aggressor – Central Fiction introduced Exceed Accel attacks to finish Overdrive mode with a bang and Active Flow that will encourage aggressive play! Various Game Modes – Apart from classic modes like Story and Versus, find new challenges in many modes! Easy to Pick Up – Not a fighting game veteran? Not a problem! Choose Stylish Type and perform the most spectacular combos with ease!